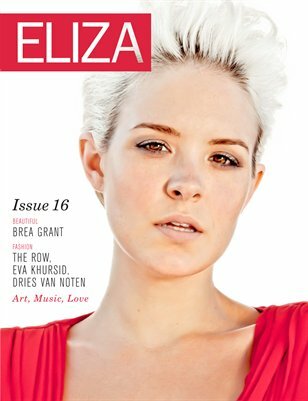 Brea Grant graces the 16th Issue of ELIZA Magazine. This issue is also filled with fashion from The Row, Eva Khursid, Dries Van Noten, Gwen Stefani, SJ Couture, Annie Hall and fashion spread photographed by Evan Gunville. You can also discover Sedona, art by Kelly Spassov, music by Ximena Sarinana and our columns by Hanna Queen, Laura Warner and more!